An interview with a digital maverick, whose analog roots are showing in his latest book. Audio and transcript. The following is a transcript of a recent interview with Kevin Kelly. You can listen to the audio of the interview below or at SoundCloud, or download the audio file. Glenn Fleishman: Welcome to The New Disruptors. I’m your host, Glenn Fleishman, the editor and publisher of The Magazine. This week I have with me Kevin Kelly who you know because he’s been on the Internet as long as the Internet has been something we’ve all been on. Kevin was involved with the Whole Earth Catalog, something you’d gotten in book form before we could actually all go online. He’s currently the senior maverick at Wired magazine, another thing he helped get up and running. He’s the author of What Technology Wants. We’re here today to talk about Cool Tools, which is a project that dates back a few years, but he’s turned it from electrons into atoms. We’re going to talk about that today. Kevin, thanks for being on the show. Kevin Kelly: It’s a real pleasure to be here. GF: I feel like you encapsulate so much of what people are trying to do today. You spent your whole career doing—can we talk a bit about the Whole Earth Catalog days because that’s been so inspirational to people. I feel like the cycle has gone around again, and we’re all rediscovering what drove that that’s brought us here today. What was the spirit like when you were working on putting that together? KK: The Whole Earth Catalog began life as a mail-order catalog for things that you could buy by mail and that were supposed to be useful to young people, at that time, who were trying to restart civilization. They were moving to the country, doing homesteading, reinventing how to grow their own food or build their own homes, or they were living in cities and kind of dropping out of the traditional career and starting their own small businesses. All these things were things that were not trained for in school, and so they needed tools. They needed some kind of information to help them learn how to do these things in the catalog, which was printed on newsprint cheaply and sent out. It was that thing. The interesting thing about it was it was written by the users, by the readers themselves. GF: People sent in all the descriptions of products and so forth. Those came in to the editors. KK: Yes. It was a fantastic example of user-generated content 50 years ago. What happened was the readers would read a tool that was recommended and decide that, in fact, this was not the best thing, that they had a better recommendation. They would write in and say, “This is even a better tool.” That was the way the catalog grew over time. GF: That’s a fascinating time. We’ll talk about modern printing too, because things are, once again, all different in how we make books. Back then, if I remember the era, it would have been easier than ever before to produce something like this. Some of the tools that used to be with very expensive capital infrastructure, that had changed and made it possible to produce something like this. KK: It’s true that the catalog was one of the first examples of indie self-publishing. Just merely producing a book up to the 1950s and ’60s required a very large company and lots of resources and expensive equipment. One of the reasons why Stewart Brand, who was the founder of this, could actually produce this bookish magazine thing on his own was there were several bits of technology which were recently released that made it possible. 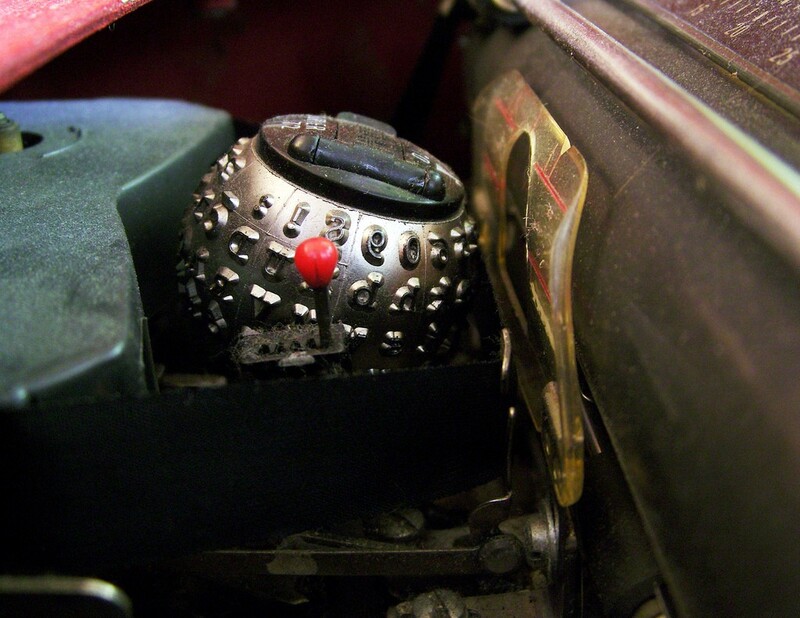 One was something called the IBM Selectric typewriter. If you see it now, it’s actually kind of a glorious, ingenious thing because instead of having keys like a piano key on a lever strike each letter on a page, there was a ball, and you could change fonts by changing the ball. It also had kind of a computer memory inside, so you could actually justify type, meaning space it out to look like a book, by typing it once and then having it reprocessed. Internally, it would set type. This was a way to set type from a typewriter. Then the second invention was a Polaroid camera, which allowed you to do half tones by yourself without an elaborate darkroom and other equipment, so it was possible to lay out a book using wax and glue, and literally cutting and pasting things, and with several thousand dollars’ worth of equipment, you could do what used to require highly trained craftspeople to do, and that kind of do-it-yourself version and then having it cheaply printed on newsprint was the new technology that allowed a small group of people to put out a publication and to bypass New York City and mail it directly to your readers. This was all brand-new. GF: It’s so funny how that sounds. I was born in 1968, which I think was the first year of the Whole Earth Catalog. GF: I’m just young and old enough to have been caught in that transition. I used to do wax layout of typeset stuff. I remember my mom typing when I was a kid—in community classes she took—on a Selectric. I saw the whole transition happen, but it’s funny to think how recent that was. The technology freed people up to take what was in their heads and stick it on paper, and get it distributed widely in an efficient way to people who wanted it in large numbers. I don’t think I’d heard it described quite like that at that point. It’s all a great circle. It all comes back. KK: It all comes back. Then because of this ability to print do-it-yourself, because of the speed, it was possible to do user-generated content and keep updating it, make multiple versions of it, which came out almost twice a year. The speed of publishing for the first time was much faster. If you know anything about New York publishing, it’s still very glacial, but this self-publishing was very fast. It allowed it to have Internet growth so within the matter of a decade, there were millions of copies of this book sold in multiple versions, all primarily generated by the users. If you were to go back and look at some of this material, which I have done very frequently, and you’re reading it, it’s very familiar because it’s in the voice of the bloggers, and the people who are enthusiast, amateurs, and obsessive. That is the voice that you hear. That was so rare at that time because to get something published, it had to be refined, polished. It had to be literature. It was processed through the machine, so you never heard that. There was really no other venue for this opinionated but informed obsessive enthusiasm, yet it was spilling in these pages. That’s one of the things that made it so attractive at that time. GF: It was driven by people. You couldn’t find this written elsewhere. You couldn’t find this sort of material, but this was what was going on in the culture. This was a way for the culture to express itself in a way that was happening in real life. Then people were also able to disseminate among each other. KK: Exactly. Part of what the catalog was trying to do was uncover, and point you to, and feature, and communicate those books or publications that did have that voice, that did have that kind of useful best friend information. We forget about the era before there were large mega bookstores. There were many, many bookstores throughout the country, but most of them were really lousy. They were small. They often tended to be populated with a very narrow range of books. Part of the joys of traveling was visiting bookstores because you’d uncover this little gem that nobody else in the world would know, that no other bookstore would be aware of. Finding the things was so difficult. What the catalog was doing was rounding up all this great enthusiasm, and putting it one place. You could then not only meet other people’s voices, but you could find books and other things that had been more highly evolved, and they were all together for the first time. None of this information was available to you in any other way. There was simply no way to get it. There was no Internet. There were no big bookstores. It was just a marvelous discovery, and it was the beginning of what we see on the Internet. “Oh my gosh. I didn’t realize they had X.” That was the beginning. GF: I have to pinch myself to remember those times. I remember going to microfiche readers to find archives of newspapers, or going to the library. I grew up in California for part of my childhood, and the Fremont Public Library had 1,000 phone books, so if you wanted to find an address for someplace in New York, you’d go there, find the phone book, and look it up. That was the closest thing we had to information around the world. You were lucky if your local public library—before Proposition 13, I should say. That’s when we got it in California. It had the resources to give that to you. I remember even Utne magazine. In the early 1980s, I would study the back pages of Utne with the tiny ads, the interesting things they were covering. I think I subscribed—I want to say I subscribed to a magazine service they had. No, I guess you could order from them, or you could get single copies of interesting low-circulation magazines that you couldn’t otherwise find. They had a place. There was one outfit that offered it, I think. Just trying to get different points of view was a struggle, and what you’re describing was a way to disseminate that so broadly that people could find the things they were looking for. Those points of view could be spread by giving people access to know where to get to them. KK: Exactly. The Whole Earth Catalog was in some ways the web on newsprint. It was doing all this magical stuff. In fact, a lot of what we wanted to do, we couldn’t do on paper, which was kind of keep things updated quickly and timely. When the web came along, basically the Whole Earth Catalog died because the web was doing 95 percent of what the catalog was doing, and much more. The air got sucked out of the catalog. The web was much better in that respect, yet there was 5 percent that was missing still. It was that 5 percent I continued with the Cool Tools, which originally was an email newsletter, and then was a blog, and then eventually made into a book. It was that remaining 5 percent that I was trying to recover. GF: We had an unavoidable event occur, so Kevin was kind enough to come back a few days later. If you notice that we’ve forgotten things we talked about in the first few minutes, it’s not amnesia. Kevin, thanks for coming back so we can finish our conversation. KK: As always, it’s a delight to be here. Thanks for your questions. GF: We were just about to talk about the present. We talked about the past and how Whole Earth Catalog helped shape a lot of things both in culture and how technology had shaped Whole Earth Catalog and how that had sort of come together and moved you forward. Somewhere in the middle of there, you helped bring Wired into being, the magazine, and got exposed on a continuous basis to all of the new technology coming out for both electronic publishing and publishing and print as well. I know the 2000s were sort of a totally different period for you then, but you came out of it with this new site called Cool Tools that really hearkens backward and forward at the same time. What was the point of starting Cool Tools? Did you run out of index cards and you needed to share what was going on? KK: It was almost like that. The original vision of the Whole Earth Catalog was actually something that was on index cards, and it was supposed to be a service rather than a product, somewhere you would call in, like on a phone, and say, “What’s the best tool for moving heavy objects?” or whatever it was that someone wanted. That never came to be. It was mostly just the ongoing periodical that was user generated. When it died because the web came along and did everything better, the web was sort of like cards. In fact, we did a version of the Whole Earth Catalog on HyperCard when Apple was trying to sell CD-ROMs. They didn’t have any CD-ROMs to sell on their CD-ROM driver, so Steve Jobs actually financed an electronic version of the Whole Earth Catalog which was on HyperCard, which was the first consumer version of hypertext. We had the largest HyperCard deck in the world, which was the Whole Earth Catalog hypertext. That means basically it was the web, but it wasn’t the web online. It was a web on a CD-ROM, so it was a closed universe. GF: It was great because everything was available. You didn’t need a connection. You just had to click, and it was all on the CD-ROM. You just pull it up. KK: Exactly, and it was all on cards. It was all on little cards. Unfortunately, the CD-ROM players never went very far for Apple, so very few people even knew about the existence of this electronic Whole Earth Catalog, but when that died, it seemed to me that the large version of it was gone. In fact, the compulsion to recommend and share really cool stuff with my friends didn’t cease, so I kept up an email list. When I encountered something that I loved, I would recommend it to my friends. I would do this kind of on a weekly basis. One a week or a couple a week I would send out. My friends would say, “Can you send your email thing to my friend?” I said, “Yes, I can, but under one condition. They have to recommend a tool.” You have to recommend a tool to get on the list. That was the beginning of this user-generated aspect of the mail list. Everything on the list was actually contributed by new people being added to the list. Eventually, somewhere around 2003 when blogs came onto the scene—and actually, I was alerted to them by Mark Frauenfelder who wrote to me and said, “Do you know about a blog? These are really cool. I don’t know what I want to do with it, but I want to do something.” He actually wrote an article about them that was rejected by all the magazines. No one thought it was important. I actually ran it in Whole Earth Catalog, a special issue. I decided that this thing really belonged out in the public on a blog, so in 2003, I moved the material onto the blog and every weekday, I added a recommended tool. That’s been going uninterrupted since. That’s the origins of the Cool Tools website. GF: It’s interesting because the user-generated part, you find that some people have one song in them. Some people have one story, but everybody has some cool tool that they want to share, even if they aren’t a journalist or researcher and don’t find 50 of them a day for you. That was a very interesting way to start it, to say, “Tell me your cool tool. You don’t have to give me 50. Give me one, and you can join the list. KK: Right. As you just said, everybody has at least one thing that they’re infatuated with, or that they would miss without taking to a desert island, or they would want to have in their household if they had none others. That one thing was what propelled this forward. Still to this day, most of the cool tools that are recommended are usually from people who this is their first one thing they’ve recommended. That kind of variety and diversity is actually what makes this collection kind of interesting. There are some very good sites out there, particularly like The Wirecutter, that can make really great recommendations but on a fairly narrow spectrum of stuff, like big screen TVs, the latest handheld, or something like that. The treasure, the wonder, of Cool Tools is that anything that is really useful could be a cool tool, so people will write in with the best pool cleaner, or the best thing to use to take nuts of a stuck, rusted bolt, things you would never assign anybody to uncover. They have to be kind of volunteered. That energy of being a catalog of possibilities, a catalog of things you never even knew existed, is really one of the treasures of the site. GF: The way you describe it, it’s almost a variant of the wiki idea, isn’t it? Although, you’re the editor. You are making editorial decisions about what to include. To some extent, it sounds like you are very inclusive of what is coming in, but it’s that notion that Wikipedia’s power, and maybe its Achilles heel is that there are a million subject matter experts, and you need to capture some part of that and have them bring their expertise into that fold and share it. For you, this wasn’t a free for all. You wanted to have the editorial side, but you’ve also got the benefit of that sort of citizen tool recommender kind of person. KK: Yes, it has a bit of a Wiki tool aspect to it, but you’re right in the sense that I think the true power of we’ll call it publishing or media is this combination of the diversity and the unexpected power of the bottom harnesses with that at the top. Finding that sweet spot where you can harness both the immense energy and intelligence of the crowd with the refined intelligence and direction of a strong editor requires a lot of tuning, and revision, and evolution to get to. I think that is really the right recipe for this messy media, which is not entirely bottom-up Wikipedia style, and not the strong Time magazine from the top. It’s something that’s a combination of both. The end result is a paragraph that looks like someone just sort of dashed off, but in fact it has been very curated. It’s highly evolved in the sense of it having gone through many, many revisions to try to anticipate the kind of questions that a reader might have. I think that works where you harness both sides of the equation. GF: There’s that editing in public and editing in private. Wikipedia and the Wikis are all, “Let’s edit in public because we’ll share the knowledge gained,” but there’s the thing from the decades that you’ve been involved with writing and editing. You have already gained the knowledge necessary to know what people understand. It seems like you want to apply that directly instead of having the readers go through it with you. KK: A lot of that, whether it’s public or private, depends on the use. When you want to have something kind of be an authority and withstand scrutiny, then I think having it in public is a virtue. Referring to another site that does a lot that Cool Tools does, The Wirecutter, what’s interesting to me is that they do a lot of research. Sometimes Cool Tools will do as much research, but The Wirecutter will show their work. They’ll basically log all the research they’ve done on it. That research might be done on other sites, but they haven’t made it public, so they’re kind of doing the research in public and not just editing it. I think that can be valuable. I think both of those modes are valid. It depends on what’s at stake. If it’s just a cool recommendation, you don’t need to have all the evidence. If it’s an article on the subject, then you want to have all the evidence, and you would like to see what the editing log looks like. GF: I wonder if there’s a difference there between the fast web and the slow web. I know you’re a proponent—it’s like the slow food movement—of the slower, thoughtful, contemplative, evaluative web. I know Marshall McLuhan’s hot and cold media doesn’t really apply here, but there’s maybe a dichotomy between the web that zooms by so fast you can’t even read it, which is what a lot of the gadget sites where when they launched in the early 2000s. Interestingly, Brian Lam, who is behind The Wirecutter and Sweethome and the related sites, was an early Gizmodo editor. Are you seeing that, a slow emergence again or maybe a new emergence of a slow, contemplative web? KK: I had not thought of it in those terms, but I like that distinction because I think it is true. Part of it has to do with—one of the metrics would be how often are you making posts? The thing about Cool Tools is that we make one post a day. The Wirecutter is probably even less than that versus Gizmodo and Gadget. They have some quota about the number of things they have to post per day. What I always found interesting is maybe about five years ago I did a reader survey. I was really curious about who in the world was reading Cool Tools. I asked them how often they come to the site. I was so surprised because there was 30 percent of the people who were coming more than once a day. That baffled me because there’s only one new thing a day. There has never been more. I think what it was is they were going back for other stuff in the archives. GF: This is part of the utility of the slower approach. Your archives are useful. They’re not burned up news, not perishable stuff that’s gone up in flames. KK: Exactly. I think that is the vision you have, the little picture of the iceberg. A lot of the deeper stuff, the roots, are there. They’re as valuable and specific as anything that shows up above the water. I think that this is a mode, but what I would say is that what we always get with technology is all of the above, so the fast web is not going to go anywhere. There’s going to be more of it. I think what we will see is more of the options for going slower and deeper, and taking that long form. While there will still be those really frothy mayfly accelerated spin and churn, if you want it, you can go deep, and long, and slow. It’s like an ecosystem. You want to have those redwood trees as well as those flittering mayflies. The more variety of speeds and scale you have, the richer the ecosystem. Maybe the initial weedy part of the Internet was the opportunistic stuff that was fast, but as it depends into a woven fabric with more sustainable modes, then we’ll see the deeper, longer roots and the bristlecone that take 5,000 years to grow. GF: I love that, too. It makes sense. In the early web, you were constantly churning. Then a new browser technology would come out, a new server thing. I remember colleagues I’ve interviewed on this show in the past where they helped subsidize me purchasing 16 megabytes of RAM in 1993 so we could run a larger mailing list. Then I bought 16 gigabytes for $90.00 the other day. I know everyone talks about the scale all the time, but that scale helped drive change. Just to keep up with it, you had to stay abreast of what things could do because people expected it. It was burning so fast. Everything was changing so fast. We were trying to fill that space. KK: Exactly. That is one of the consequences or the price for a lot of the high-tech stuff, which is this acceleration. In fact, in Cool Tools, I have made a deliberate choice to focus on things that aren’t just electronic, tools that won’t go obsolete within a matter of weeks, that you could come back to in a year or two or more and still find them useful. Most of the technology in the world that surrounds you and me is actually old technology, like concrete, copper pipes, and window glass. It’s ancient technology, and it still works. You still have tools to work with it. In fact, the majority of the technology that surrounds you is actually old. That layer of the new stuff is actually very thin. It calls attention to itself a lot more than the old, but in fact the old actually dominates our world. GF: We should talk about the full circle aspect of this too. As I’m sitting here with this giant—thank you for sending me a copy—this giant Cool Tools book, beautifully designed, lavishly illustrated, printed on nice thin but opaque paper, so it’s nice to hold. It’s going to last a while. This is not newsprint, but it’s not printed on heavy fiction book stock. The thing is enormous it’s 11 inches by—? GF: Yes, so it’s a huge thing. It’s a coffee table book, and it would take me a year to read this book if I read it. KK: It does. It would. There are lots of things to say about that. One is that was possible because it was user-generated content over several years, although I went back and revised and reedited everything. The actual dynamics of making the book was that it was possible because a lot of it was crowdsourced. 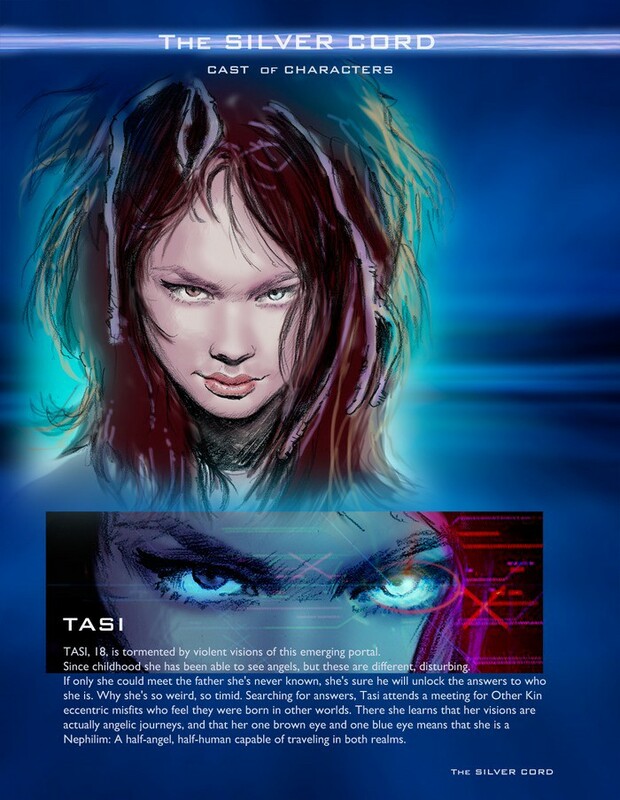 I went to Elance, which is a cool tool that I recommend, as a way of leveraging my own individual power. This is a self-published thing. There’s no big staff. Part of it was done by the fact that I could very easily as an individual crowdsource out extra work in parallel. The advantage of crowdsourcing through Elance, which harnesses the capabilities and the professionalism of 1 million freelancers around the world, is part of it’s competitive pricing but mostly its speed. I did the design of the book, but the layout was distributed among many people around the world, many designers around the world designing in parallel. Those that were working the best would get more work. We could design the entire 500 pages—and it’s really designed. It’s not just a book. It’s very visual. We could do that in a matter of weeks. We could proof it in a matter of hours. The design and other issues were all crowdsourced. I think that is one of the ways in which this book was done with basically two people, me, and my assistant. Neither one of us were full time on this. 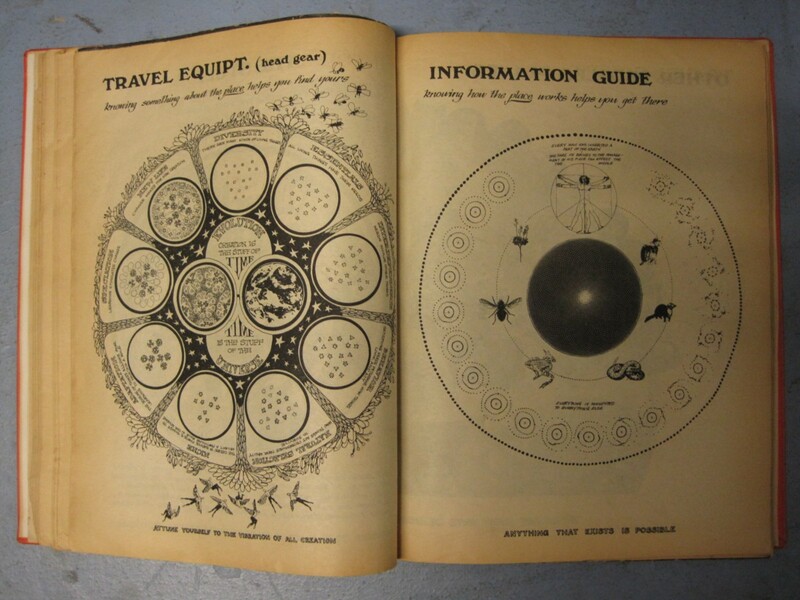 When I was doing a similar kind of book, Whole Earth Catalog, it was 30 people for a year. KK: That is the difference what the technology has brought us. It’s not just the technology of page design, which is incredibly much more efficient than the old ways, but even the technologies and tools of crowdsourcing and other ways of managing work, like using Dropbox and stuff like that. These are all tools that have really made it possible for one person to basically do the work of at least 15 other people. GF: It’s so fantastic. I don’t think I knew that part of the story as well. I’ve heard you talking about the book, and I read a bit. I read the introduction, but I don’t think I understood the impact. Talk about another full circle thing. Amazon’s Mechanical Turk, when it was introduced several years ago, was supposed to be a way to turn people into cogs in the computer, maybe in the best or worst way. It has a lot of issues and management stuff. I’ve interviewed people who have done large-scale projects with it, and Mechanical Turk, any problem that can be well reduced to a series of certain kinds of very small atoms of steps are really good. I wanted to get a bunch of addresses to mail out books. This is a typical thing. I’m sending out a book for promotional purposes. Like I would have Cool Tools. I want to send this out to a bunch of people, and I can’t get all their addresses, and they’re all at companies. I’d take a spreadsheet, upload it, and divide it up. I’d have multiple people do the same thing, and I’m paying them 3 cents each or whatever, and they all go to websites and collect it. I get a spreadsheet. If you’re lucky and you’ve designed it right, which I did not the first time so I spent a few dollars extra, you spend a handful of dollars, you distribute a tiny amount of money to other people. Mechanical Turk is about these tiny bits of—not drudge work, but they’re harnessing very specific, like a pattern recognition capability of someone. Look at these two images and give me three keywords, and you’re done, and you get 2 cents or a penny or whatever. In your case, Elance brings it up. We have all of these very human abilities, like layout is a human thing. There are automatic layout systems, and the best of them only work with very specific kinds of material. Elance turns the whole world and these other kinds of freelance networks and gives you a Mechanical Turk, but for much higher-level skills. KK: Exactly. Right. In the end, I probably redesigned at least 90 percent of the pages, but they were delivered at such a stage that it was possible for me to refine them. We were generating I forget how many pages a day from all the freelancers. They were first class. They were really great. GF: This is 474 pages including the covers. It’s huge. KK: It’s a huge book. Just thinking about trying to design each of these pages—which each one is custom designed. That was the point. We used freelance. All the images or all the products, there are 1,500 different images. We removed the backgrounds. There were product shots from the web. We removed the backgrounds. That was all done through crowdsourcing on Elance, and it was done very quickly for very little money because they were people in Indonesia, Turkey, or wherever who were happy to have some job like that. They were incredibly fast and good at it because that’s what they do. There are people in India who have whole businesses around just removing backgrounds. You would not know that, but once you bid, you realized that these guys are so fast and good that it’s shocking. They’re professional in that sense. They’re Photoshop jockeys who do this day and night, and they can really do it. That’s the power of this web, of the international global web, being able to harness that as an individual. It’s not just—talking more about Elance—it’s like doing legal work. It’s like doing brochures. It’s programing. It’s anything you can imagine. If you can specify it, like you were saying for Mechanical Turk. If you can specify a job, and that is the real art as a manager, specifying it so it’s very clear and you can break it down, and you have these benchmarks. If you’re able to do that, you’re able to basically distribute that work around the world. GF: That’s fantastic. Just another example is things like TaskRabbit. There are so many ways you can get people’s efforts in, and they can be compensated. There’s a marketplace. There’s an arbitrage. They need to charge something that’s worth it for their time, but they’re also now in a market where everybody’s skills are fungible, so we get the first-world advantage. Whatever the book sells for, you can pay people a relatively small amount in our ecosystem, but it can be a large amount in theirs. It doesn’t disadvantage them by being able to compete globally. KK: In fact, a lot of the designers were U.S. workers. I said the prices are competitive. It’s not like you are kind of doing sweathouse labor where you’re really milking. It’s competitive but not necessarily the cheapest. A lot of the freelancers may actually be in the U.S.
What you’re getting is they work with an escrow procedure. In fact, the money is being held in escrow. Both the purchaser and the worker are being protected until the work is delivered satisfactorily, which is another great invention. KK: DeviantART is one. I’m doing another book [The Silver Cord] which is a Kickstarter-funded graphic novel. I was involved in the creation and the story, but we needed artists to draw it, letter it color it. We went to deviantART. It’s the same kind of story where we can actually use more than one artist if we need to. You find people all over the world, and you’re trying to make a match with the style that you’re looking for, the amount of money that you have, the amount of time it’s going to take. There are lots of different variables. You can look through these. Again, you’re getting professional quality. Even though they might not have been published very much, the entire world is the potential pool from which you can draw, and it’s very powerful. To me, the thing about it is that these are things you would think about a corporation doing. Now an individual, you at home, can leverage your abilities. It’s not so much that you’re crowdsourcing as much as it is that you are being able to collaborate with the right people anywhere in the world. 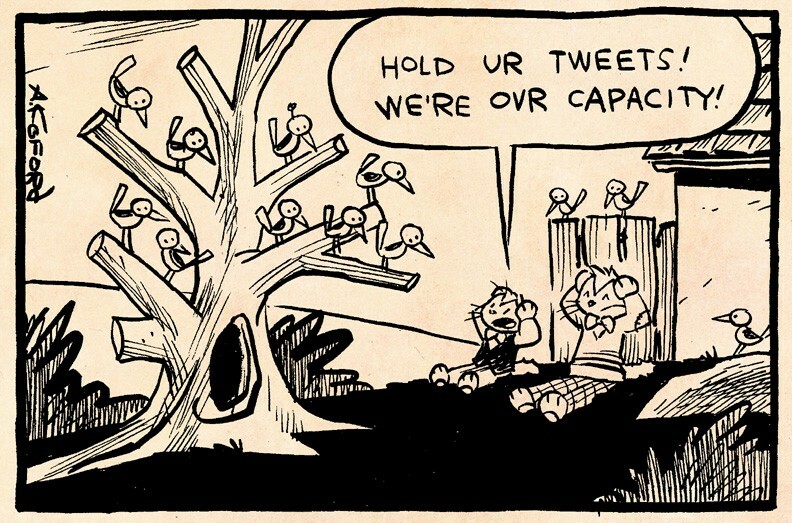 It’s that ability of micro collaboration. You don’t have to hire them. It’s like a task project-oriented collaboration of great potential. This idea of temporary alliances and collaboration for just what you need and then you move on, that is extremely powerful. It means that if you want to do something and you don’t know how to program, or you need a lawyer and don’t want to hire a lawyer, you just need five minutes of help, and then you’re done, okay. I can pay that. This is kind of unbundling. You’re unbundling the skills of the world, and you make them accessible in small units, and you can kind of recombine in order to get something done, you as an individual. You’re collaborating, but this is kind of nano collaboration. It’s nano bits. You can do things much faster and bigger than you’d ever imagined before. GF: This is a fascinating thing because it ties in at all ends of the trend. Mechanical Turk is you may be arbitraging for eight seconds of someone’s time. On a freelance site like Elance or any of the other ones, you may be contracting for a week, or a month, or 10 minutes to do something. I want to pivot away to something that’s parallel to this and come back to the printing production part of this. You wrote an essay. In the first part of the talk, I mentioned it in passing. It was “1,000 True Fans.” I think every other episode I cite in here because it’s kind of a flag people wave. As you talk about micro collaboration, I realize, “This is a piece of what makes the 1,000 True Fans thesis is kind of about how you do something on your own, how you have an audience that frees you to do certain kinds of things. I realized micro collaboration is part of it. Almost everyone I’ve spoken to on this program has only been able to take a career, whether it’s art, music, design, or even a manufacturing company, into their own hands because of the modern economy by tiny bits of resources. Even collaborative consumption, the fact that I can go to a different city and there’s Zipcar available or Car2Go, or I can use RelayRides and get in someone else’s car. I can use Lyft and someone driving their own car can drive me around. All these things take all of my capital costs and my committed capital down so far that I can focus more on these things. Is there a bridge between “1,000 True Fans” and this kind of micro collaboration that makes it even more possible for people to engage in this kind of thing? KK: It’s a brilliant idea that I never thought about, but just to reintroduce the idea for those who may not have heard of “1,000 True Fans,” the idea was theoretical and mathematical in a certain sense. It said that most creative people, including myself and others, dream for a hit. You want to have a bestseller. You want to have a blockbuster. You want to have a million fans. Who doesn’t? At the other end, there is the person who is kind of struggling along and doesn’t have very much of an audience at all, but to have a million fans, generally in the past, has required a lot of intermediate people from labels and studios and book publishers. It occurred to me that, in fact, if you had direct contact and direct relationship with your fans and there were no middle people, the income you could get from them directly would reduce the number you needed significantly. If you had 1,000 people who were your true fans—and I define them as people who would buy whatever it is that you produce at any time and would not only buy the paperback but also the hard cover and the digital version, who would not only buy your CD but would drive 100 miles when you were on tour. Those are your true fans. If you had 1,000 of them, and you could get $100.00 from them a year for what you were producing, and you got it directly, then you got $100,000.00 a year from only 1,000 true fans. The concept was this interesting middle place. You didn’t need to have a million fans to survive or make a livelihood. You needed more than one fan, but you could do it with this interesting moderate number, which is an imaginable number. It’s hard to imagine a million fans, but you could imagine getting 1,000 people who would really follow you. If you could and you had direct relationship with them, and you got the money directly from them, then you could make a living—maybe not a fortune, but you could make a living—with 1,000 true fans. I like your idea of saying that’s sort of like a nano bestseller or micro celebrity might fit in with this other sort of micro collaboration, which is that maybe you can work with 1,000 collaborators, but you’re only working with them for a short amount of time. The idea is that while 1,000 true fans worked solo, you as an individual because if there are more people then obviously you need to have higher numbers, if you’re only trying to support you as a photographer or you as a songwriter, then 1,000 works. If you’re a band of seven, then you need seven times as many. Maybe you can also increase your productivity with 1,000 true fans by actually having 1,000 nano collaborators. GF: I wondered about that. I don’t think I thought about that in that context until you were just talking about that part of it because the math for 1,000 true fans works. It’s a remarkably interesting number you picked. Obviously there’s not a strict mathematical basis on it, but it’s that thing. A thousand times a number ends up being a pretty decent number in dollars for supporting oneself. When I planned the Kickstarter for this book that my publication, The Magazine, put out, I had in my head, “I said we need 1,500 people to make the math work,” and we got 1,465 people. I don’t know how the unseen hand of the market works. The Doubleclicks, a musical act, will be a featured guest on the show. They’re in the middle of a Kickstarter as we record this, and they just passed 1,000. They’ve blown through their goals, and it’s terrific, but there’s this magic of 1,000. It’s not real, but that’s a lot of people to be involved. Everyone I’ve talked to who’s involved in this current economy—I mean, you wrote this before Kickstarter, about a year plus before Kickstarter launched. Obviously you were building on a lot of kinds of crowd funding things that were more informal or built into individual sites. There were lots of concepts, the street-performer model, that Amanda Palmer cites, for instance, which is how she literally got her start. You’re writing this at a historically interesting point when it was clear things like this could happen but all the mechanisms weren’t in place. Then I watch it unfold. The people I talk to are like, “We don’t have to get CDs anymore because everyone has a music player.” That started in the early 2000s, so we don’t have to distribute CDs, although we can make them now. Or we want to get books printed, and we can use print on demand, Offset, or all these distribution mechanisms that before were limited. Bandcamp for artists is a huge thing to facilitate distributing music without any intermediary but with full control. All these mechanisms that would’ve required them to build systems or get in bed with an intermediary that would’ve taken most of the money let them kind of work with a facilitator but at the same time get them access to all the collaborators we were talking about as well. This book I’m working on, I think there are literally 100. You know the scale from the thing you did, which is much larger. This is a book of non-fiction essays, most of which were already written and published, and there’s still about 50 people I’m directly working on this with, and it’s wonderful. I’m getting five minutes of someone’s time and three days of another. KK: Exactly. I think you’re right. I had no idea about the media number of supporters in Kickstarter, but I wouldn’t be surprised if it’s on the order of 1,000 ten to the third. We did a Kickstarter campaign for the graphic novel, and I think we had the total number of supporters around 800, which is close to the 1,000 we’re talking about. Maybe it’s not 1,000, but maybe it’s 100 collaborators that may be a natural order of things in terms of just the overhead costs of maintaining relationships. It’s probably Dunbar’s number. You don’t want any more nano collaborators than 125. GF: You can’t deal with them for a regular project. KK: You can’t remember their names or who they are. I would suspect that’s a more natural mode, a resonant mode there. It would be interesting to look at. I’m always shocked at the number of credits that show on some of these big movies. There are thousands of individuals needed. If you tally up the number of people who could take a solo project so you could amplify your own reach by using these nano bits of help, I think 100 would probably be the most you could probably handle. GF: It’s a great ratio too because I think Kickstarter projects aren’t all $50,000, but I think there’s this funny ratio when you get a lot of—the sweet spot on average for a lot of Kickstarter projects is like $25.00 to $35.00 per person when you average out the high and low pledges. In my project, for instance, we raised about $60,000.00 from almost 1,500 people, which is a very neat bit of math to get there. Then that money is being mostly distributed out to 75 people maybe. Some people are getting $50.00, and some people are getting—like the printer is getting $15,000.00 or something like that. I say “the printer” as one entity, and there are probably 200 people who work there, and 25 of them will be involved in this. I feel like I’m a funnel. GF: I don’t feel like I’m an aggregator. I feel like I’m the person in the middle, as you were with your book where you’re trying to orchestrate things on both ends, money and people and expectations on one hand flowing in, work and so forth coming out, and you have this product. I want to circle back as we finish to your enormous, wonderful book. It’s not irony at all that your end goal was a book. It seems like a natural process, but getting a book printed—you were just talking about all the production detail. You have to get an actual physical object created and distributed. How did you start down that path? All the collaboration was mostly electronic. You only had a few people in person working with you. How did you start down the path to the atomic part of it? 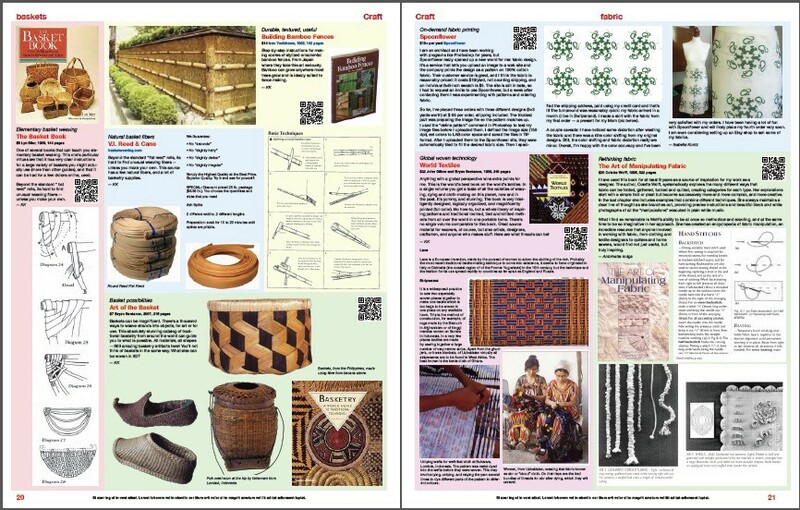 KK: Making a very physical artifact is very different than making an ebook. Everyone can kind of understand the logic of self-publishing an ebook. It’s very straightforward. This is much more like a maker thing. We’re making things with colored ink spread on dead tree flesh. Then the volume we were talking about. Right now I’m in the third printing, and there’s two containers full of books being shipped across the Pacific. They have to make their way on trains. It’s like moving heavy stuff. Here is the new economy right now. Even me as an individual, I can kind of command. I can wave my hand and command that to happen in a certain sense so that with on-demand publishing—and there’s a very interesting blurring between the kind of Lulu and Lightning Source and Blurb which have been made to print copies of one, and then they found out that in fact most people were ordering ten or 50 was actually a very common denominator for books being printed on Blurb, much to everybody’s surprise. There are now all these on-demand technologies that are bleeding into higher and higher numbers. What will happen in the next couple of years is there will be an invisible feathering from where you can order one copy on demand, or you can order 20,000 copies which won’t be on demand, but the quality will be indistinguishable from the one copy to the 20,000 copies. GF: This is the Holy Grail. This is every industry this eventually happens to, I think, if the industry reaches the right scale and complexity, and digital technology has pushed that. Print on demand used to be okay xerography. I’ve been involved in printing for decades. We had this thing in the late 1980s. There was some Xerox thing at the end. Some kind of binding unit that would take the thing, combine it and stick it. It looked like a book and felt like a book. Then year after year, better and better. We’ve seen this in every industry. I was just reading about someone [John Gruber in Daring Fireball] critiquing Steve Ballmer as the head of Microsoft because he laughed at the first iPhone. They said, “Bill Gates did not laugh at the first Macintosh. He said, “How do we do this?’” The first iPod was ridiculous, and then they ate the entire world. The print-on-demand thing, I’m hearing this more and more. I was even talking to silkscreen T-shirt printers who are watching digital T-shirt printing. It’s still not good enough. It’s not totally comparable. It’s a different process. They’re watching it week after week almost get closer to silk-screening, and it will start to eat the bottom end of that market. This is fascinating. KK: We all are familiar with dot matrix when it came onto the scene, and everybody laughed at it. It was horrible quality. Anybody operating a full color press would think, “This is a joke.” The only advantage that dot matrix had was a single advantage, but it was that you could make a copy of one. You could print one thing of it, but you could print it really bad. You go to the full-color craftsman, and they were like, “That is just a joke.” What of course happened is dot matrix turned into inkjet, which is the same thing. You’re spraying ink on this thing as it moves across, and it got eventually so good that you could print color photographs that looked magnificent. Still, the full-color press people are looking at it saying, “Look how long it took. It’s expensive.” Blah, blah, blah. What’s happened is the innovation, which was very inevitable, was instead of having this ink cartridge move back and forth across the paper, you just have a strip of nozzles that don’t move, and you have the paper moving under it, so you have four or five strips, one for each color, and the web press underneath is moving really fast. You now have the speed and economy of web printing, but it’s basically dot matrix, little tiny dots. It has now the advantage that you can print one or as many as you want, and at the scale of economy. GF: The problem used to be print on demand for a long time, and still to some extent is, you print one, and it costs X. You print 10, and it costs 10X. You print 100, and it’s maybe a little less than 100X. Then you get up to 500, you switch to Offset or some other kind of thing. There are huge setup costs, but you go from 500 to the printing of the book I’ve got. Every additional copy reduces your overhead cost by X percent, so the offset is the marginal shift. What you’re saying is the line is shifting from print on demand to offset is getting bigger and bigger, which is exciting. GF: With the 1,000 true fan argument, how many books do people need to print? You’re talking about 1,000. If you can do that affordably, if you can print on demand 1,000 copies and not have to inventory them all at once, so you don’t have to put up all the money up front, and it’s not that much more expensive than quality. Adam Koford, who is the ApeLad cartoonist who does all the LOLcat old-style, almost Krazy Kat-style, cartoons, he has this wonderful book. I ordered it, and I’m looking at the back, and it says it was printed like last week. It’s black and white, beautiful cover. I look at it, and I’m like, “Oh, this is POD. I didn’t realize this was print on demand.” If I didn’t notice the printing date was literally a week before I bought it, I wouldn’t’ve realized it. KK: Right. Blurb, which has made its name printing photo books, is going to offer basically this scalable version of printing. They’re going to guarantee that the printing matches the one on demand, or the 1,000, or the 20,000. You won’t be able to tell. That book will match across however many you want. If you want one and you print a couple, and you say, “It’s just great. I have friends,” and you print 1,000, it’s 1,000 exactly the same. “Oh, Amazon now wants it. It’s a bestseller. We’ll print more,” and they’ll all match. You have this scale free manufacturing. This is all part of not just printing, but of course 3-D printing is going. What this means basically for makers and people who—like Cool Tools, is it’s a little bit like Internet scaling. You want to be able to make a website that works for one person, and if people love it and you want to scale up, you want to be able to do that very easily without having to change the whole infrastructure that you have started. I think that’s sort of what we’re headed toward a little bit with physical things, which has been a real problem going from the prototype to 50,000 of something, or even 1,000 of it, and having the tools that allow that scaling to happen a little bit more invisibly. GF: That’s a wonderful notion. I hear that story that scale is the enemy of starters and business success sometimes. Right as you go from—a friend of Dean Putney’s, Dan Shapiro, was a recent guest on the show about his Robot Turtles game. He was planning to make about 1,000, and his Kickstarter was very successful, so suddenly he has to make 25,000 copies, but he had went to a firm that was printing 1,000 and that was affordable, and 25,000 was within their range, but if he needed to do 100,000, he might have been pushing at the limits. Not having to set that dial before you start will be an amazing thing. KK: Yeah. I think the technology will allow us to do it. I think also the economics, things like Kickstarter and other kinds of crowdsourcing funders allow us to kind of explore those lower realms of 1,000 that we’ve never had before. Nobody in their right mind in the past would have ever even inquired about trying to do something in the level of thousands. That was kind of a no-man’s land. That was empty of anybody. You did a prototype. Then you had some in the multi thousands, minimum, to produce things. I think this is actually a really key thing that I haven’t fully explored, but have you ever heard the number of cars sold in the U.S. of a particular model? KK: GM, or whatever it is, or Ford will make 30,000 of something. That will be the total run of the cars. That’s in their range of 1,000 true fans. You don’t need to have that many to actually have a success. I think that’s what we’re working on right now, exploring this hard middle, which is making things successful in this thousands, and maybe even ten thousands of a range were if you can produce them and make them really good in quality, you can have success at 1,000 and 10,000 of something. GF: This is 1,000 true things. It’s funny. It’s Dunbar’s limit for collaborators, Kickstarter crowd funding on one side, crowdsourcing on another, and then 1,000 fans and we make 1,000 things. It’s kind of a neat formula. KK: It’s probably closer to 10,000 things. GF: That’s right. Ten thousand would be nice. A thousand is hard to make money from unless you’re selling Teslas, which is a fun startup to watch. I know you’ve had a long association with the folks who run Boing Boing as well, and they’re a directory of wonderful things. 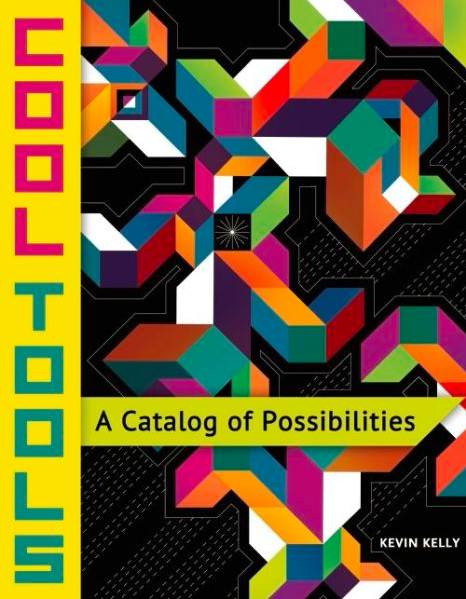 This is “a catalog of possibilities” and your very lovely cover here designed by you. That’s one thing you didn’t outsource. You actually designed the cover, right? KK: Actually, I did do a crowdsource version on 99designs, which I highly recommend. I got almost 100 designs. I was really floored by the quality, but none of them really worked. In the end, I did my own design. I didn’t do my artwork. I was trolling through the web looking for images, and I found a graffiti artist in Portland. I wrote to him and said, “I love your image. Can I use it for the cover of my book?” I paid him for that. I did the design, although I have to say that if I wasn’t so inclined, I would’ve used one of the designs I got from 99designs. By the way, it’s run as a contest. The higher you are willing to pay for the final design, the more submissions you will get. What’s really remarkable and very invigorating is the variety of takes that you’ll get. Instead of going out to one designer and hiring a designer first, you kind of do it the other way around. You say, “Here’s what I’m looking for. Here are my specs,” and you have 100 people submit really crazy designs. They’re also feeding off each other because as the designs are being posted, you as the buyer is giving feedback on what you like and don’t like. Then the new designs are being generated off of that. It’s very powerful. Another way to leverage a single person and the power you can have of these micro collaborations. GF: Iteration is expensive, so if you can figure out a way to have other people iterate with you, then you get to these wonderful results. People can find this book at www.KK.org/cooltools. You got a domain very early, which is very good. Kevin, thank you so much for talking about the genesis and creation of this. I think this is—and now I have to spend the next year reading it, but that is a good task. KK: It’s a book for anybody who wants to do things, and how to make things, and tells you how to rent a bulldozer or choose a career, how to learn to swim or work at home. GF: It cleverly says, “Give a copy to a kid you know.” I’m leaving this out on the coffee table so my 6-year-old and 9-year-old have already been picking it up. KK: I really enjoyed being here and discussing these kinds of disruptions in the way we do things with you, Glenn. I really appreciate your interest in this. GF: It’s a pleasure. Thank you so much for sharing what you’re doing because that’s how we all learn. You’ve been doing that for a long time. I really appreciate how much you’re willing to do that with people. It’s great. Glenn Fleishman is the editor and publisher of The Magazine, the host of The New Disruptors podcast, and a continuous contributor the Economist. The New Disruptors tells stories that provide practical inspiration about the way that creative people and producers connect with audiences to perform, cajole, convince, sell, and interact using new methods. A new episode every Thursday. Listen to our archives of dozens of episodes since we launched in December 2012. Selectric ball photo by Dominika Komender. A fortnightly periodical of features for curious people. Get The Magazine app for iPad, iPhone, & iPod touch in the iOS App Store, or subscribe on the Web. Narrative non-fiction writing from a fortnightly periodical for curious people with a technical bent.